a drag and drop form builder, with seamless integration to enterprise backends. Read how Streebo helped Adarsh Credit Cooperative Society Ltd.
with a leading engagement and communication tool. Navigate your digital transformation journey with Streebo. 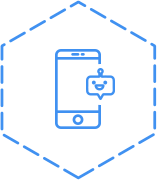 Build extremely secure and high performing applications and integrate smart conversational chatbots to your digital properties using Streebo DXA. Streebo teams up with the biggest technology partners like IBM®, Red Hat®, Samsung® and HCL® to help you fortify your business and grow 2X faster. Our digital solutions and services are designed to address your specific business needs. With our award-winning suites of enterprise ready apps, automation products like chatbots and consulting services, we help you win in the digital game! Our integrated digital marketing services such as content development, campaign management, usability analysis and web & mobile app analytics help you in creating meaningful digital experiences, measure outcomes and generate insights to excel! ❝ Streebo helped us deliver a superb mobile application in a short time, with seamless integration to our legacy systems. With Streebo, we could deliver greater customer experience to our members and advisors. 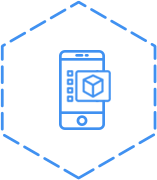 ❝ Streebo helped us roll out our first mobile app by leveraging our existing infrastructure using the MobileNow program. ❝ I would suggest Streebo to anyone who needs anything from basic to advanced IBM WebSphere Portal workshop. ❝ We’re very happy with Streebo’s performance. The resolution rate has increased noticeably with direct coordination with Streebo. 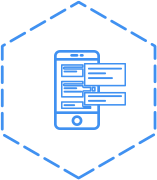 ❝ This is my initial experience with mobile app development and it has proceeded more smoothly than I expected. We’re a small team, so everyone can create a huge impact. We’re looking for smart, creative and passionate people to help us solve challenges that never existed before.